Controls have been vastly improved, due to three aspects. Final build Wiimote, refined sensor bar (most likely the one we saw last week at the Nintendo World Store), and Ubisoft’s time spent tweaking the game. Gesture towards defeated enemies to tell them where to go. Some aspects of the game are still a secret. Graphics are simply amazing. Forget everything you have seen from all the Red Steel videos up until now. Unbelievably smooth character animations, night time dojo level is gorgeous, rain and lighting storm is very well done, compared to RE4’s village area, but more impressive. One portion of the game has you escaping a burning dojo that features ” the best fire effects we’ve ever seen”. Version of the game played was 16:9 widescreen 480p at 60 frames per second. What? Amazing graphics from a Wii game? 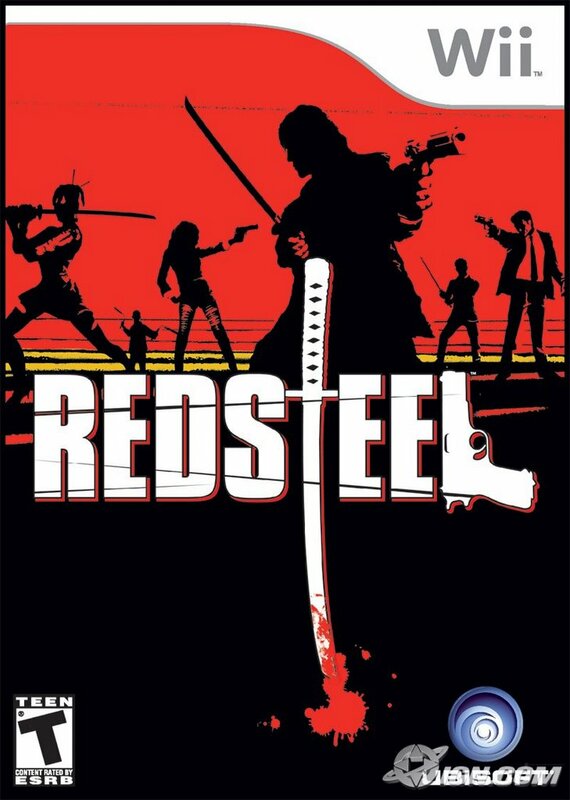 Well I have to say that I can't wait to see the final build of Red Steel. I've made up my mind, as of today I'm going to reserve my copy of Red Steel this Friday. Anyone else? I would have to say that I agree. My friend who played Red Steel said that it was really a good game and plans on getting it at launch. Also- Rayman is going to be fantastic. I'm not sold on Rayman yet, even though everyone says its so fun to play. I need MORE, I need to play it to be sure. A mini-game centric game is not really what I want in a launch game. Monkey Ball sounds a little better to me right now, but I'll give Rayman a chance. The graphics look fantastic in it. I just loved the idea of it and preodered this game a month after E3. I'm so glad it is turning out so well. Thanks for the screenshots of it on your site. It makes me that much more excited to get it. Hey no problem Loyal N, Red Steel was the first game we all saw on the Wii and I don't think any of us will forget that day. Very awesome.